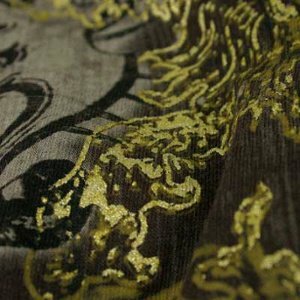 There’s a lot of hype about oversize printing these days, but let’s not forget our roots. Ink testing, troubleshooting and experimentation has been a passion of ours long before all-over presses came on the scene. 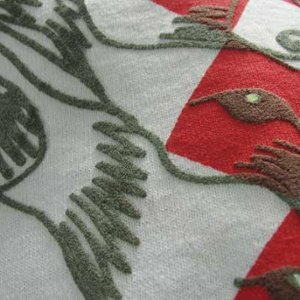 We’re at the top of the industry when it comes to specialty screen print application on textiles. Printed apparel with a super soft feel is huge right now. In fact, it’s the most common request we get. Soft prints are so desirable, it’s not likely this is a trend that will fizzle out. For this reason, we have an entire page dedicated to the various methods that can be used to achieve this affect. 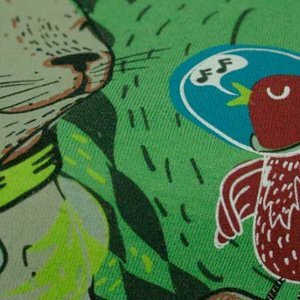 They include soft-hand base additives, water-based inks, and discharge inks. 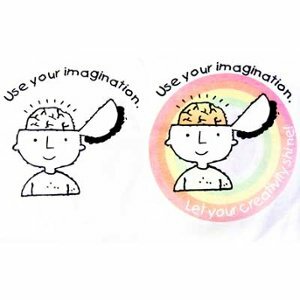 One of the original specialty affects in the world of screen printing. 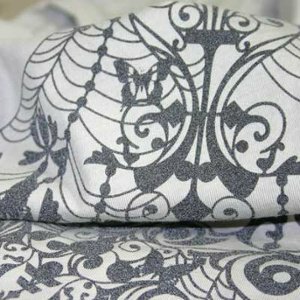 Puff ink is a plastisol that has been modified with the addition of a heat reactive foaming agent. 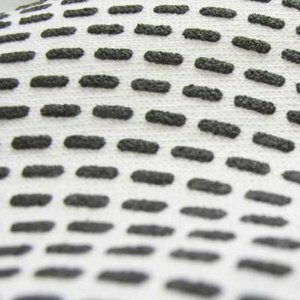 The ink expands when exposed to high temperature heat as the garment is cured. Suede ink was derived from puff ink. 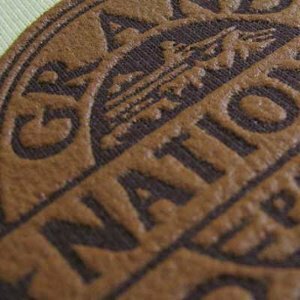 The process for printing is similar, but suede ink results with with a raised fuzzy nap reminiscent of suede leather. 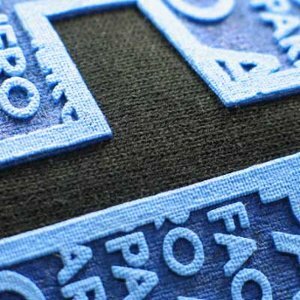 This 3-D specialty ink achieves its best affect when printed in layers. High temperature is introduced in the curing process causing the ink to raise into a high square stack. 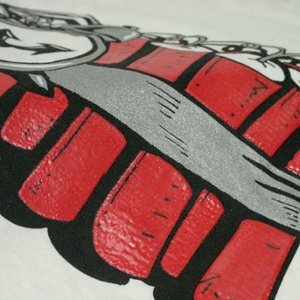 The specialty clear inks can be printed to add a super-glossy shine to any design. These inks can also be stacked for dimensional printing. Shown here with silver shimmer. You guessed it - turn out the lights and areas printed with glow ink are illuminated in that yellowish green we know and love as glow. We take it one step farther too, with a selection of colored glow inks. Now you can glow in blue, white, purple, orange, red, green and yellow! These fun inks are practically invisible when indoors and come alive when you step into the sun. Ultra violet light brings out the pigment in the design. The brighter the uv rays, the brighter the print becomes. 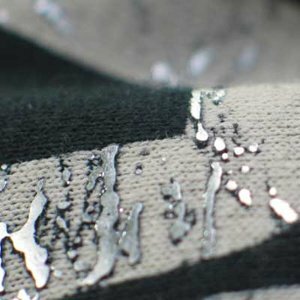 Teensy reflective flakes suspended in a clear carrier ink make these sparkly metallic inks. The print is nice and solid in 100% fill areas. Available in silver, gold, and bronze. Shown here with special effects clear ink. 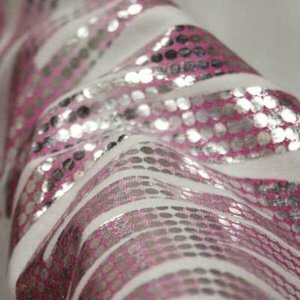 Foil is actually a heat press application, but can be applied on press for certain affects. Foil adheres to plastisol inks or a clear foil adhesive. Available in silver, gold, bronze, red, and blue. There are some awesome iridescent foil affects available too - just check with your sales rep.
Functional for safety and a cool effect for designers to play with. 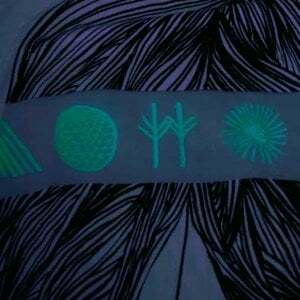 Garments printed with reflective ink provide enhanced visibility for joggers, cyclists, construction workers and others who work around traffic at night. Got Large Prints? Consider the Advantages of Oversized Printing. Pantone colors are the universal language for communicating specific colors right down to the shade. This language overcomes distances and computer monitors with different calibrations. 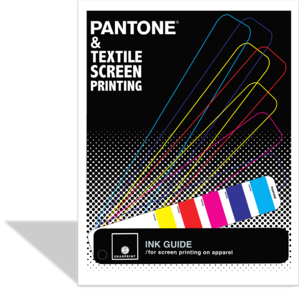 This guide is meant to give you an understanding of how screen printing inks relate to Pantone® colors. Fill out the form to the right and download your free guide today!